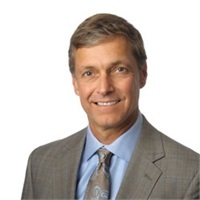 Mark is a co-founder of Lanier Asset Management and serves as its Chief Executive Officer. By founding Lanier, Mark believed that he could build a wealth management firm that truly put clients' interests first - offering an objective suite of value-adding services to affluent families that delivers superior performance while at the same time reduces risk. Prior to founding Lanier, Mark was a partner at The Boston Consulting Group where he developed long-term client relationships with senior executives at Fortune 500 companies. Mark is an honors graduate of The University of North Carolina at Chapel Hill with a BA in Economics, holds an MBA from The Harvard Business School and currently sits on the Boards of Goodwill of North Georgia, Inc. and Goodwill Industries of North Georgia, Inc. He and his wife, Beth, enjoy tennis and traveling with their three children, Meg, Scott and Matt.